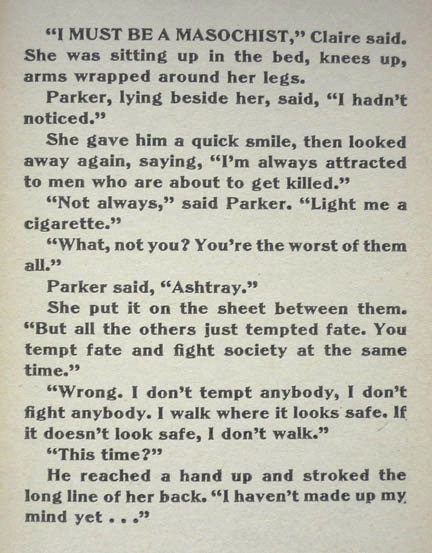 NB: A version of this post also appears on The Violent World of Parker. 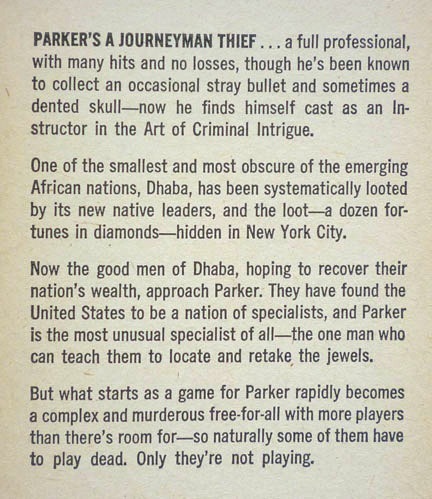 So apparently there's some movie out in the States starring Jason Statham and based on the nineteenth novel in a twenty-four-book series featuring a cold-hearted taciturn career criminal. 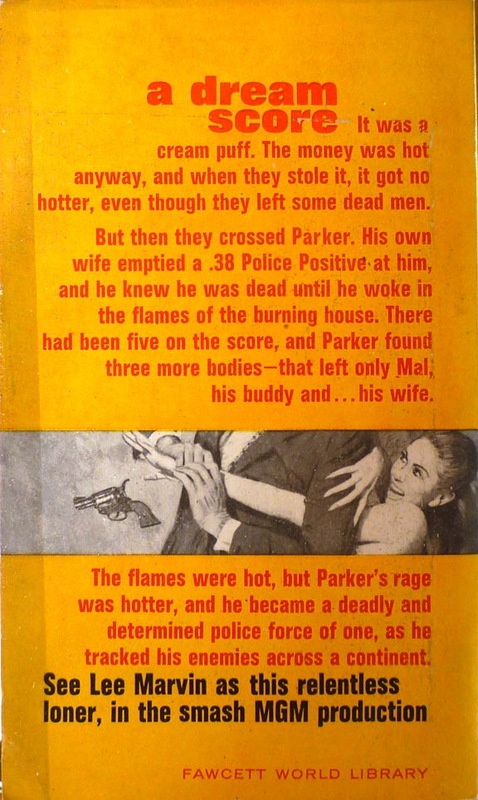 Dunno what that's all about, but whatever it is, I'm certainly not about to let it distract me from the task in hand (especially since said film isn't out here in the UK until March) – namely: blogging about a bunch of vintage Parker crime novels I've recently come into possession of. 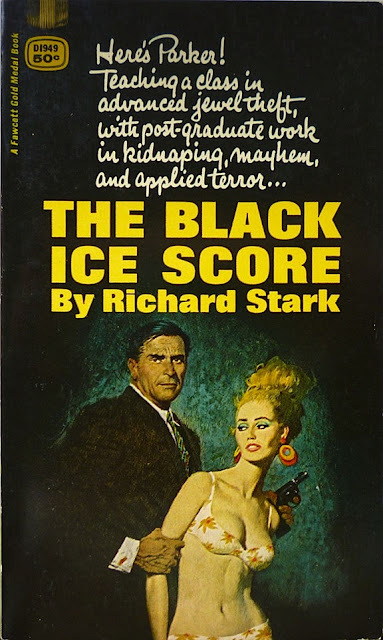 Because in a really quite remarkable multiple Westlake Score, a couple of weeks ago I managed to get my filthy mitts on four – count 'em, four – US first edition paperback originals of Donald E. "Richard Stark" Westlake's Parker novels, all from the same local book dealer. 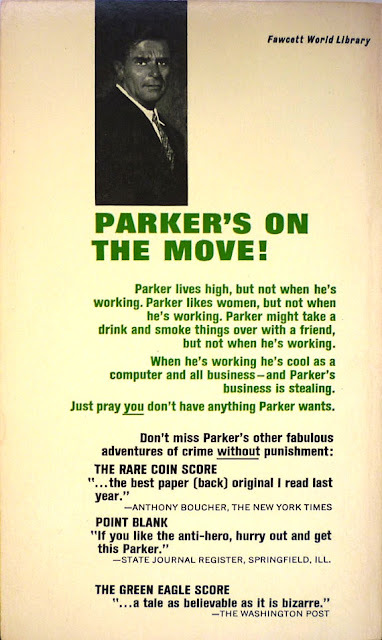 What's more, three of them comprise a run of the first three Gold Medal editions of the Parkers (the fourth I'm saving for a separate post as it dates from earlier in the series), and are in about the best condition I'm ever likely to see, with nary a cracked spine between them. 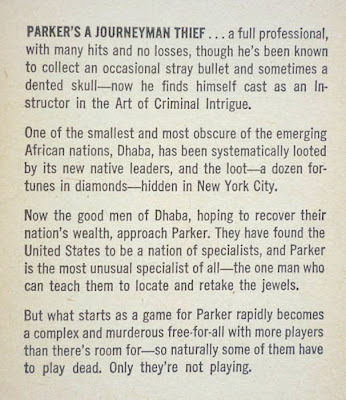 To recap (yet again – feel free to skip this paragraph if you're already au fait with the publishing facts from previous posts... or indeed if you have a life): in 1967 Fawcett/Gold Medal acquired the rights to the Parker novels from previous rights-holders Pocket Books, who published the initial eight Parkers from The Hunter (1962) to The Handle (1966). Gold Medal would go on to publish the next four books in the series and bring The Hunter and The Seventh (1966) back into print under new titles reflecting their movie adaptations, i.e. 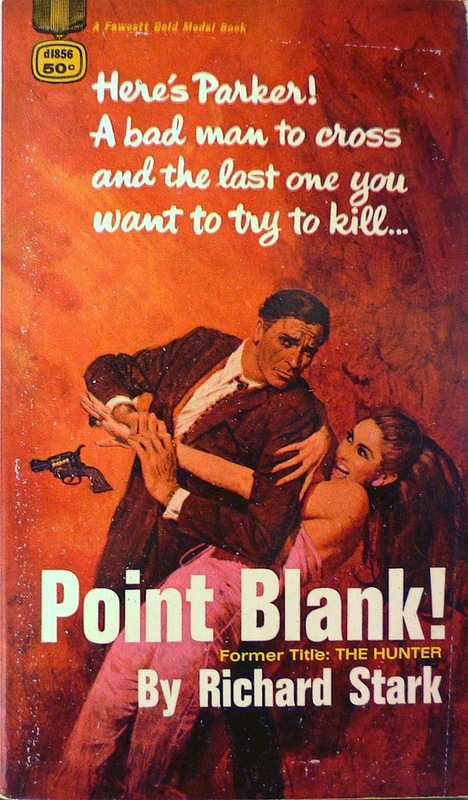 Point Blank! and The Split respectively. 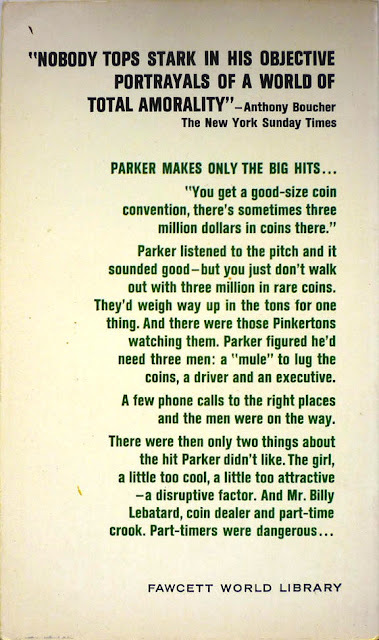 Whereas the Pocket Parkers all had cover art by Harry Bennett, the Gold Medal Parkers had cover art by Robert McGinnis. 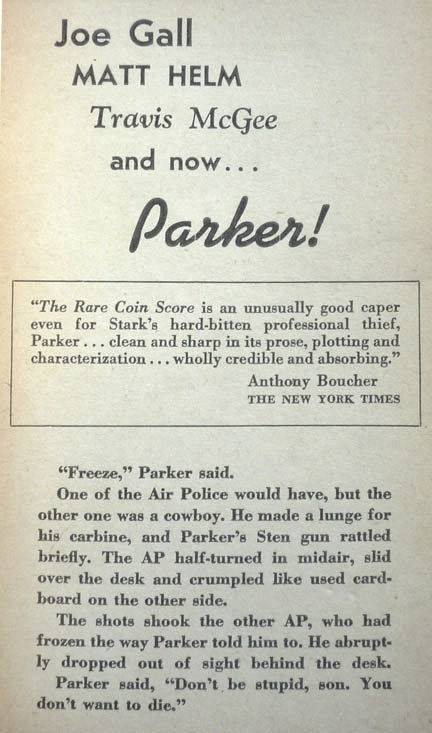 The Rare Coin Score, Parker #9, published in the US in paperback by Gold Medal in 1967. This was Gold Medal's first Parker, and it boasts to my mind Robert McGinnis's best representation of the man himself – looking, incidentally, not unlike Josh Brolin, who I reckon would've been a much more suitable choice for the lead in the above-mentioned movie featuring a cold-hearted taciturn career criminal. Ahem. 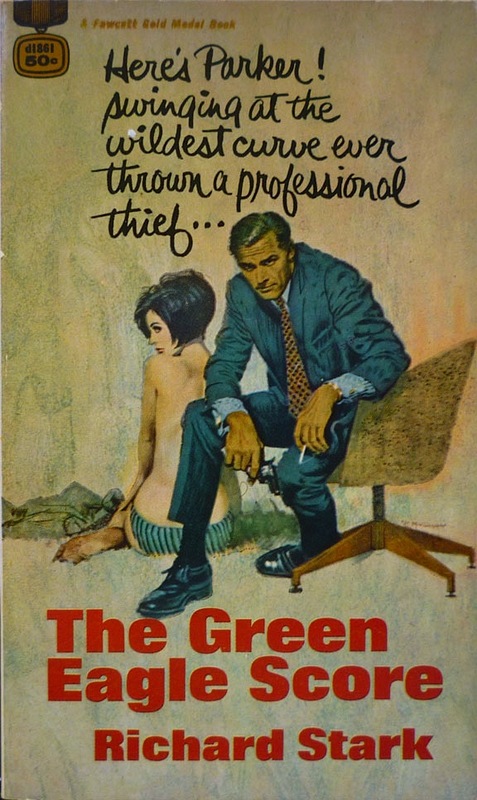 The Green Eagle Score, Parker #10, also published by Gold Medal in 1967, again with McGinnis cover art. Now, this one might ring a bell with Existential Ennui/Violent World of Parker regulars, as I blogged about this very same edition in both places in November as a Westlake Score, which I won on eBay. That copy was a bit battered, however, whereas this one is in pristine condition. 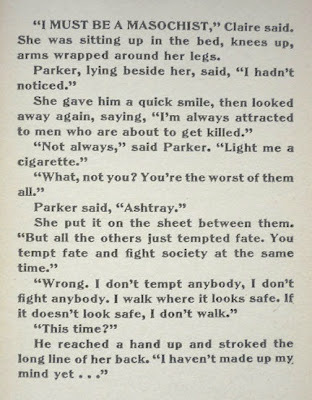 And if it strikes you as odd that a body would buy two copies of exactly the same book... well, you clearly haven't spent enough time lurking on Existential Ennui. And the third and final Gold Medal Parker I acquired from Alan White was The Black Ice Score, Parker #11, published by Gold Medal in 1968, cover art by McGinnis. 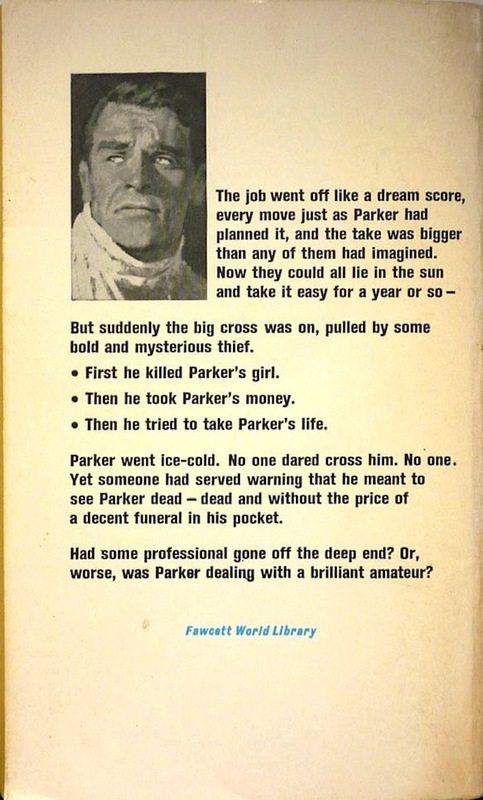 In truth this is one of my least favourite Parkers, but I saw a copy of the Gold Medal edition get snapped up right in front of my eyes at last year's London Paperback & Pulp Bookfair before I could reach it, which kind of rankled (us collectors can be sore losers), so I was dead chuffed to find this lovely copy in Alan's possession. And even more chuffed to relieve him of it. 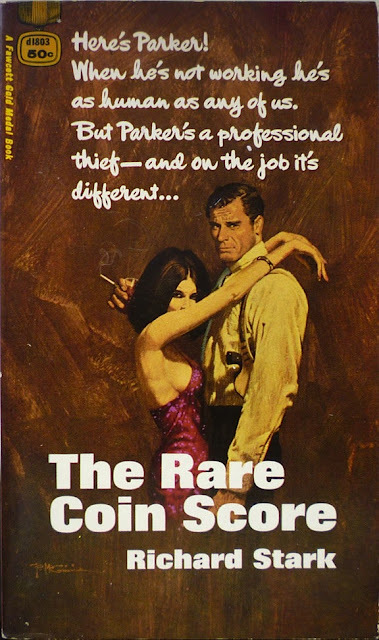 The Split, published by Gold Medal in 1968 (McGinnis cover art again), that means I now only need the Gold Medal edition of The Sour Lemon Score (Parker #12, 1969) in order to complete my Richard Stark/Gold Medal collection. 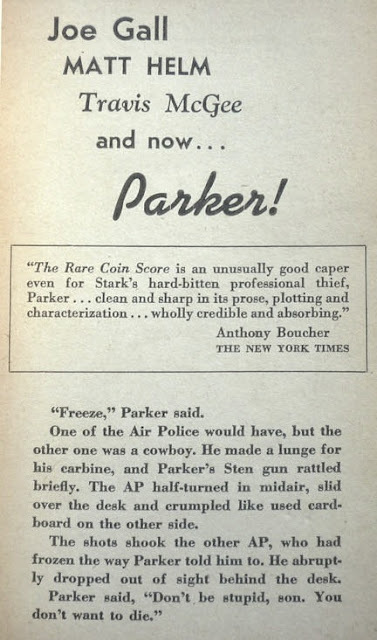 Rest assured that I'll be posting an equally prolix update if and when I obtain one. Great score, Nick. I love these covers. 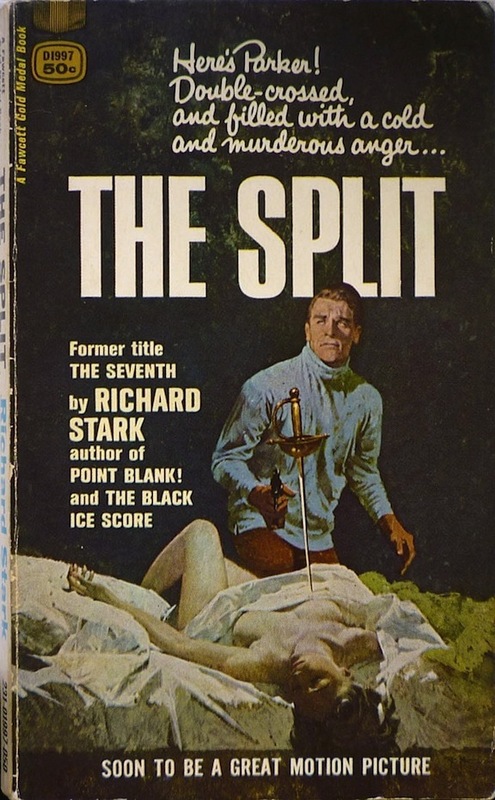 Well, except for the cover of The Split. Parker looks like he's wearing a bizarre mask of someone who was crafted from splicing the DNA of Ronald Reagan and Burt Lancaster. But the other covers are perfect representations of our favorite heister. It's the rollneck that always gets me on The Split cover, Dave. 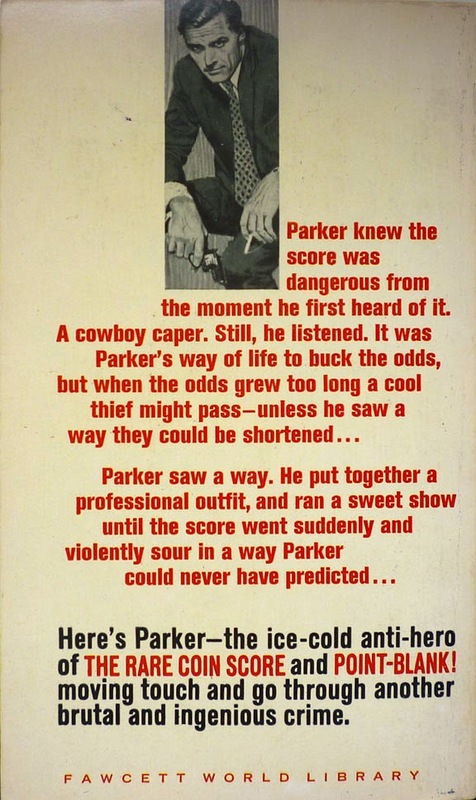 Parker just never seemed like a rollneck kind of guy to me.